The Kingdom of Bahrain is a developing country next to the western coast of the Persian Gulf. According to the United Nations Economic and Social Commission for Western Asia, it is among the fastest growing economies of the Arab world. Education in this part of the globe is given utmost importance and women are given more rights and liberties, in comparison to the rest of the Muslim regions. The following article discusses about job opportunities in Bahrain and the empowerment of women through these jobs. Bahrain is an advanced society of cultured people. Employment and education are considered significant for personal development. Education is Bahrain is mandatory for children between 6 and 14 years of age. The Ministry of Education promotes edification and offers free schooling for citizens in the public schools by giving free textbooks. This island country is a fine blend of modern infrastructure and a characteristic Persian Gulf nation. Islam being the key religion, Bahrainis are tolerant towards the practice of different religions. Although the traditional clothing of women is the abaya or hijab, the rules related to women’s attire are not so rigid. The nation promotes empowerment of women, even when it comes to employment. Let us discuss how women have made a mark for themselves in private sector jobs. It has been seen that women, on an average, pursue more education and receive a greater number of higher degrees than the menfolk. The after-school qualification figures of the ladies stand at 17.1%, while that for the men stand at 14.4%. In 2012, the rate of unemployed women reduced to just 3% in the fourth quarter of 2012, in contrast to the 12% unemployment in the year 2002. The year 2012 also saw the amount of commercial and business licenses for women rise to 29%, while the figure was only about 23% until 2008. There is also a rising number of women taking up employment in Bahrain. In 2010, the total number of ladies joining the private sector in the country had risen to over 25,000, an increase of nearly 73.5%. This figure was pitted against the 45% involvement of women in 2002. The figures represent the current job scene in Bahrain through the Economic Development Board’s report “The Role of Bahraini Women in the Economy”. The report analyzes the female entrepreneurship, education, and hiring in the private sector jobs of Bahrain. The average remuneration for the women has grown to BD457 in the year 2011 from BD317 or $836 five years ago. Interestingly, it is the public sector that offers higher salaries to the women, rather than the private sector. Females receive 19% more wages than their men counterparts at work. Healthcare and education are the preferred sectors when it comes to working women. In spite of this, the number of women taking up trade jobs, manufacturing jobs, and financial sector jobs has increased remarkably. The report has also estimated a 5% rise in female participation in the growth of the economy in the next seven years. By 2020, the women contributing to Bahrain’s gross domestic product will constitute nearly 45.6%. While the women are prospering at work, the country as a whole is looking at the creation of more job opportunities. 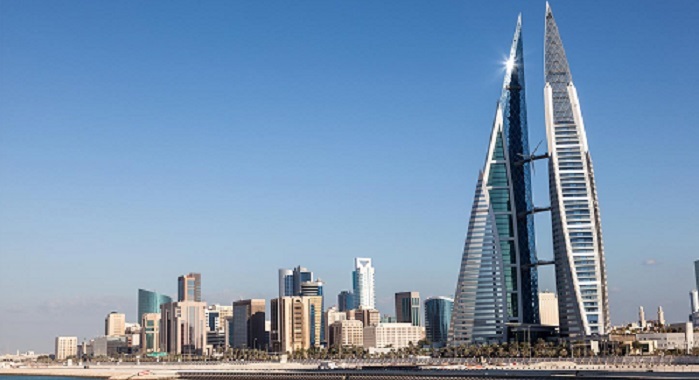 In a significant development between a Bahraini organization and a Yemeni group, the two firms have signed a memorandum of understanding that is set to produce 100 job openings in Bahrain. Bahrain’s Al Ansari Group and Associated’s Abduljaleel Al Ansari and Yemen’s Al Mekhlafi Group of Companies (AAA Group) have joined hands to work together in the Bahrain kingdom. AAA Group will assist Al Ansari Group with the construction of manufacturing utilities for concrete mixer equipment. The partnership, which will be ultimately extending for the production of other steel products in the country, will create generate about 100 job vacancies in the region. The changes in the employment sector of Bahrain are spreading immense optimism among the people. There are high expectations from the economy and the citizens are hopeful of a better future. Devika Arora is a professional writer currently focusing on the extensive domain of employment in the gulf. She has written various articles, news stories and blog posts for the employment sector.